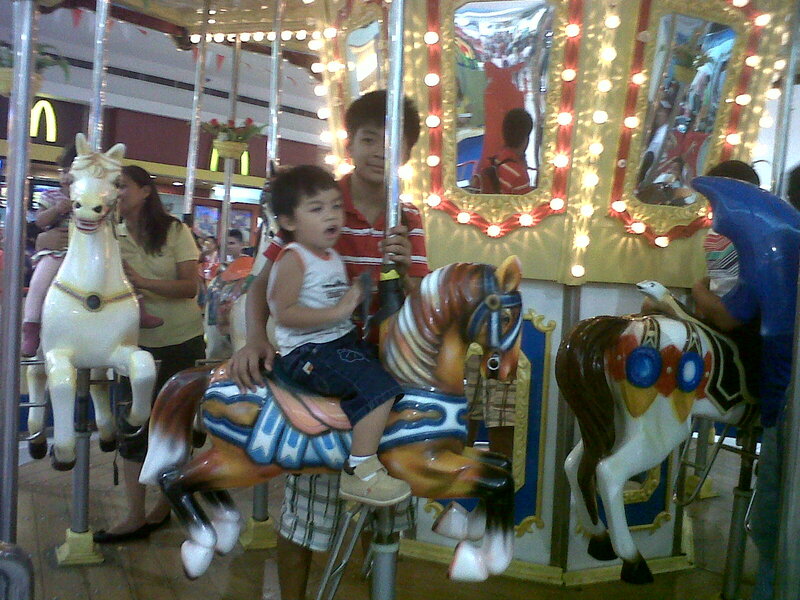 Nothing compare in a tremendously fun excitement of our little boy during our vacation here in the Philippines. 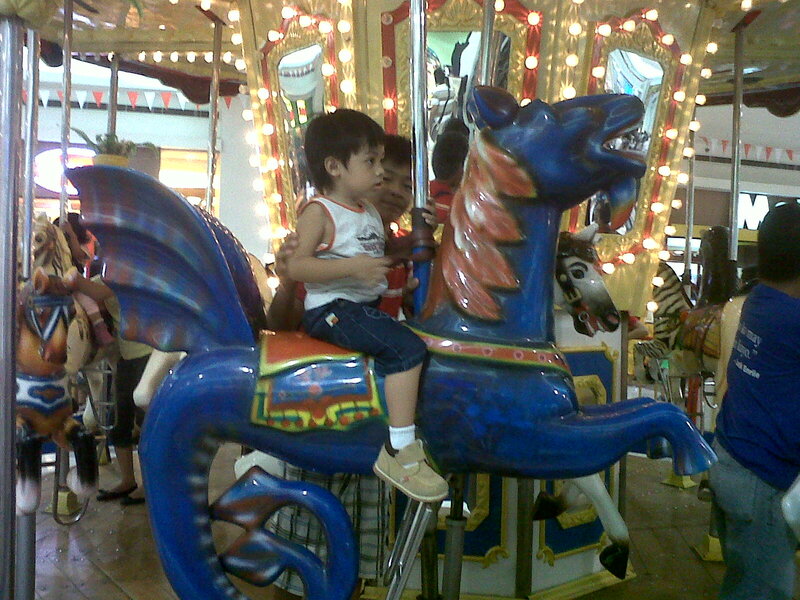 He enjoyed so much and having fun with his cousins. 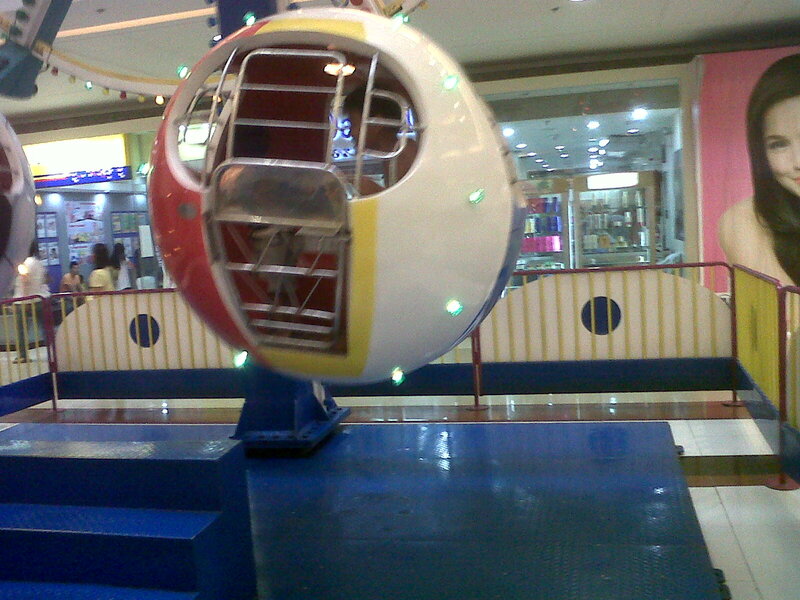 He took a ride in this little-like ferris wheel in side the Mall. Funny thing is, when we go to this mall we tried not to pass by in this area because we will be in trouble... We will be forced to take him a ride or else he will show his tantrums. But sometimes, he listens to us when we told him that he can take a ride next time. 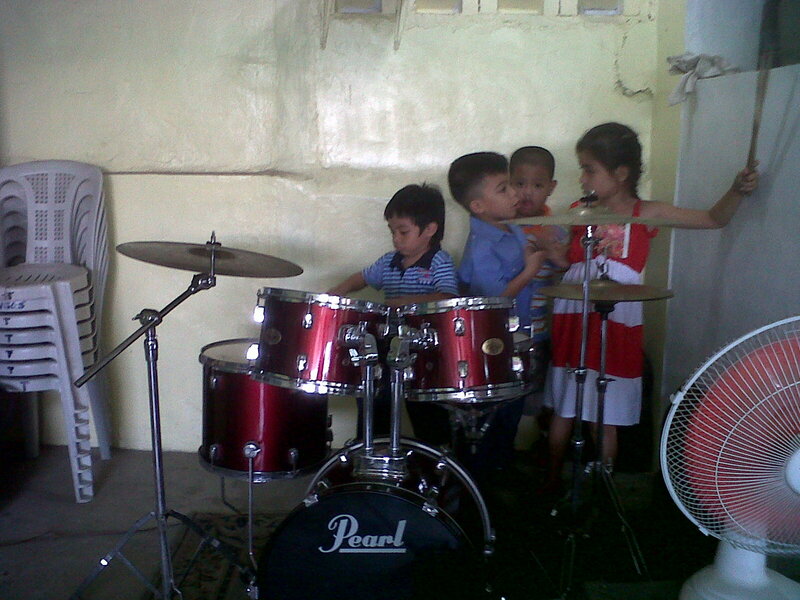 Playing drums is one of his passion and it was after the worship service when he wants to try playing drums. I just love this one seeing his desire to play drums.. 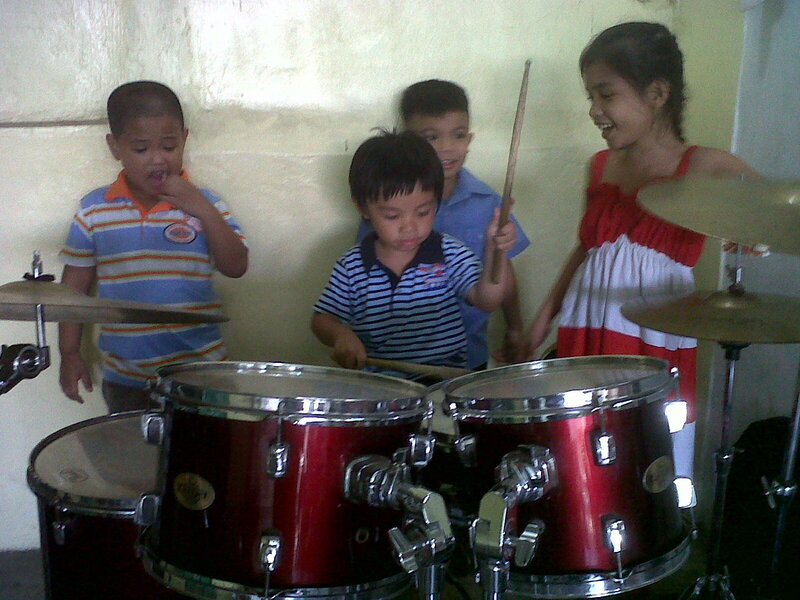 This was his first time to play the real drums. Poor kids, they are still waiting for their turn but my kid was not satisfied yet. They patiently waiting until Jaden was bored of playing. He enjoyed his first try of playing drums. Every time we go to this mall, Jaden knows the place where to go. He always grabbed my hands going for a ride. Good thing he got satisfied with a single ride. If we told him enough then he just off the ride. This is another ride that Jaden wants too. 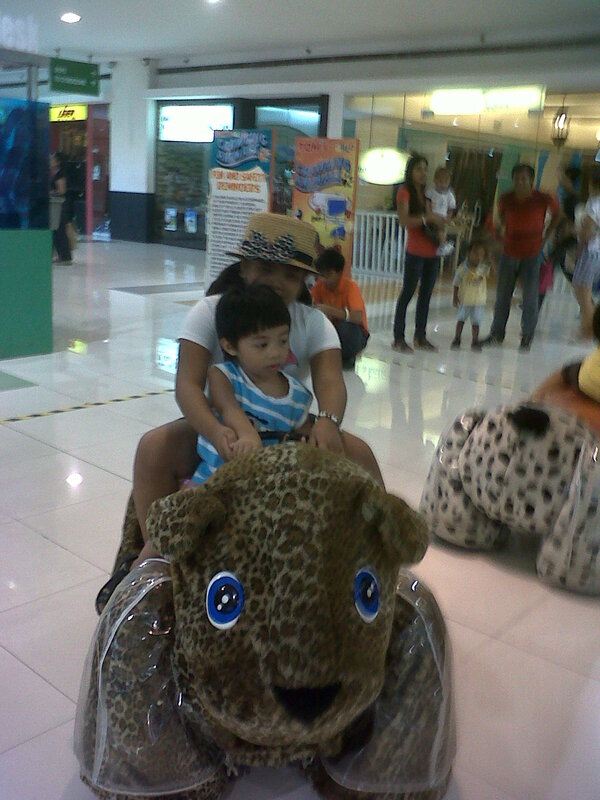 He likes to take a ride but we don't usually pass this way when we get a chance to come in this Mall.